The new era for the Xbox One begins next month. During the Halo 5: Guardians launch on Monday night, Microsoft announced the Windows 10-powered new Xbox One Experience (NXOE) rolls out Thursday, November 12. The new update will bring a Windows 10-flavored look and underpinnings to the Xbox One, as well as backwards compatibility for select Xbox 360 games. 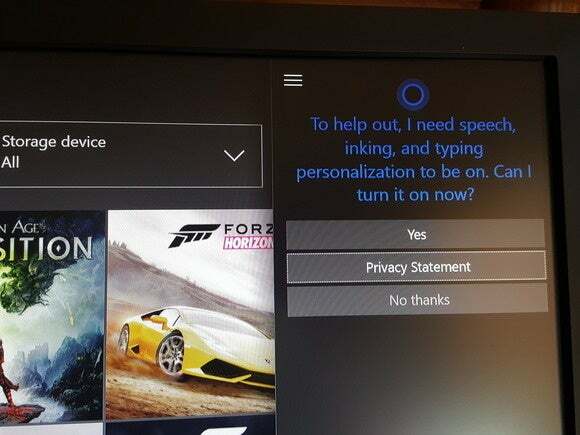 Testers have had the new preview for some time now, and they discovered Cortana, Microsoft’s digital personal assistant, hiding in the settings menu. It’s not clear if this hidden feature will be part of the roll out in November. Earlier in October, Xbox Live director of programming Larry “Major Nelson” Hryb said Cortana wouldn’t be part of the update. Instead, the official version will hit preview testers later in 2015 before an official roll out to regular users in 2016. Cortana is hiding in the preview builds of the New Xbox One Experience. While the Xbox has had voice-powered features for a while via Kinect, adding Cortana offers helpful cross-platform integration features, such as viewing reminders on an Xbox One that were made on a Windows 10 PC, Cortana for Android, or a Windows 10 phone. Cortana is also expected to work with game-related functions such as sharing video clips and forming parties. Why this matters: Bringing the Xbox One into the Windows 10 family takes Microsoft one step closer to its vision of a unified, multi-device platform. 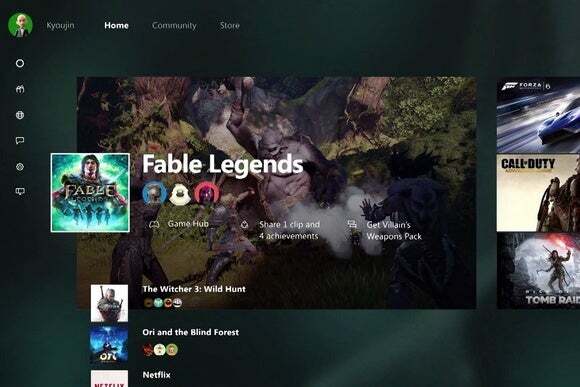 Just how unified the Xbox One will be with the rest of the Windows 10 world, however, is up for debate—Halo 5's launch today is an Xbox One exclusive, for example. Nevertheless, more integration between the Xbox One and other Windows 10 devices is planned in the coming months, such as a DVR for the Xbox One’s TV tuner peripheral. Keep your eye out for the new update heading to your console in just over two weeks.